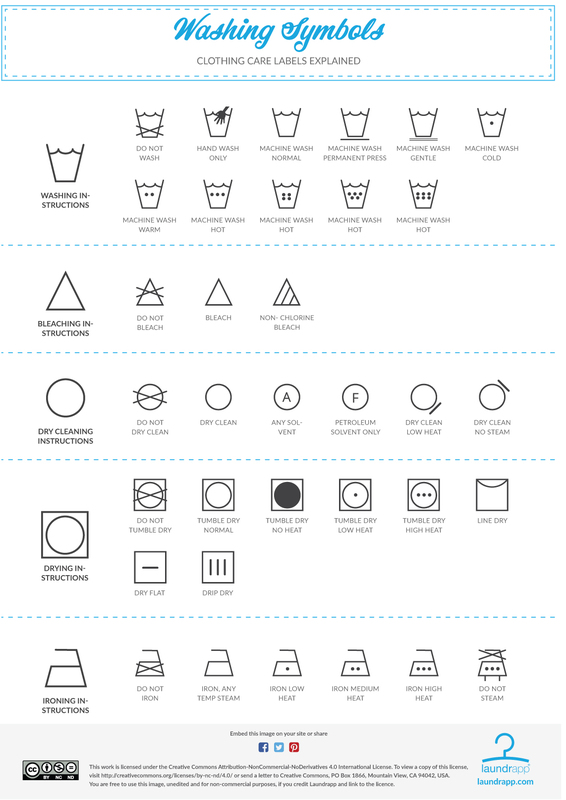 Our laundry symbols guide makes it quick and easy to understand the meaning behind care labels in the UK. We'll help you understand all those washing, bleaching, dry cleaning, drying and ironing symbols so you can keep your clothes in the best possible condition for longer. You can even download our printable laundry symbols PDF and stick it to the fridge, so you never accidentally damage a garment again - it's even great for landlords!